Think America – think United Airlines. United Airlines offers comprehensive access to the U.S. from four U.K. airports, and onward connections to over 280 destinations across the Americas. Flying nonstop from London Heathrow to Chicago, Denver, Houston, Los Angeles, New York/Newark, San Francisco and Washington, D.C.
United Airlines boasts the world’s most rewarding loyalty programme - MileagePlus®, plus a generous baggage allowance and over 45 United Club℠ locations across the world. Arrive refreshed with the highest levels of in-flight comfort and personal service. 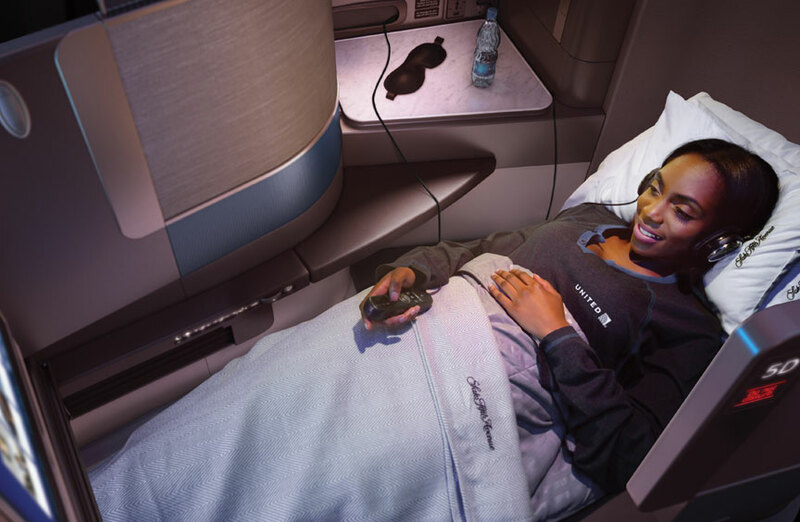 With adjustable seats in Economy® and 180-degree flat-beds in United Polaris® business class, travelling with United Airlines is a pleasure. Relax in spacious and comfortable ergonomically-designed seats providing up to 32 inches of legroom whilst watching a wide choice of movies, TV programmes, music and more through an individual on-demand seatback screen (available on most aircraft types). 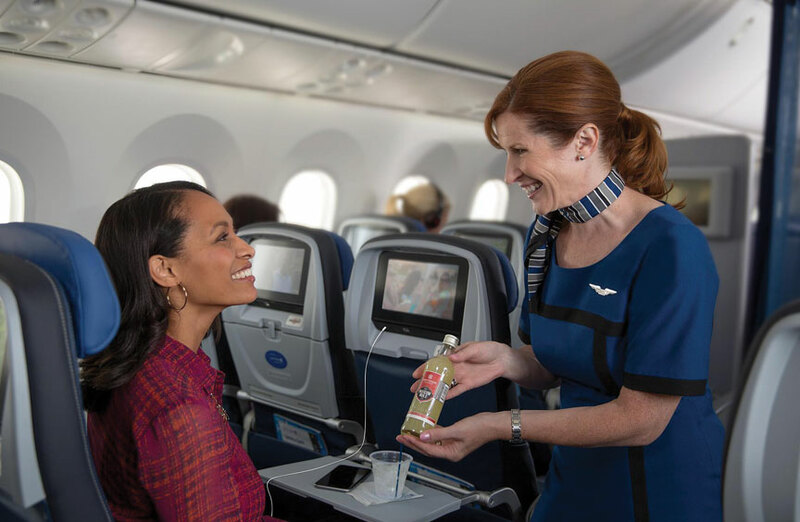 On all international flights enjoy a complimentary three-course meal service, in-flight snacks, beer, wine and soft drinks. Enjoy all the benefits and services of Economy, but with extra space and added comfort. 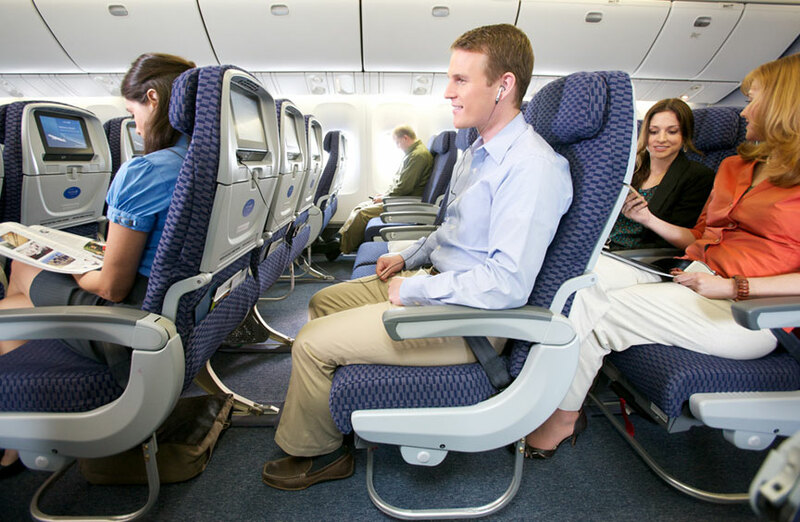 Economy Plus seating provides up to 6 inches of additional legroom, giving a total of up to 37 inches of legroom. Seats are located near the front of the Economy cabin allowing swifter exit on arrival at your destination. This brand new service is designed to bring an entirely new level of quality to every aspect of business class travel - from lounge to landing - and provides the best sleep in the sky. Your taste buds will be tantalised with a chef designed, multi-course in-flight dining experience in partnership with ‘The Trotter Project’. Drool over the desserts with made-to-order signature sundaes, enjoy à la carte snacks and premium wines and champagnes. Relax with custom designed bedding from Saks Fifth Avenue and Soho House’s Cowshed Spa sleep-themed amenity kits.